Own with no bank » Do you have credit problems? Well we are here to help. With our No-bank Financing program we can help you still get the house that you want and we can help improve your overall credit. 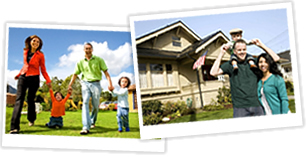 We walk with you every step of the way in our home buying process. You will not be in the cold. This an excellent opportunity for you to stop renting, or get out of that upside down home that you are in and get yourself and your family into your own stable home. Fill out an application today. You have nothing to lose and so much to gain.